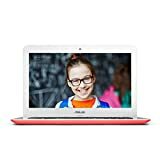 ASUS Chromebook C300SA 4GB RAM in Red for sale. ASUS Chromebook C300 4GB RAM 16GB SSD for sale. Here at ASUSChromebook.com you’ll find all the info, specss. Browse below to see many other Chromebook models.